Payment is by debit card, cash or cheque made payable to Olivia Shaw Acupuncture Limited at the end of each session. 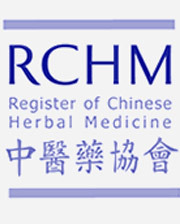 At present I only prescribe Chinese herbal medicine for my acupuncture patients and I do not offer herbal medicine consultations on their own. The cost of Chinese herbal medicine varies as each prescription is individualised for each patient, but is normally approximately £3 to £4 per day. If you are unable to keep an appointment, 24 hours notice of a cancellation is kindly requested, as I often have a waiting list and someone else may be able to take your appointment.